16 to 29 and living in the Black Country? Who are we and how do we help you? There can be no doubt that these are challenging times for some young adults in the Black Country. The Black Country Impact is determined to tackle the barriers that may be preventing some young adults from becoming all they can. Through specialised services ranging from coaching to managed work placements, our work will ultimately give our young adults the best employability prospects for the future, benefiting them and our communities. The Black Country Impact benefits from being made-up of five delivery partners who span the whole of the Black Country and have both the size and expertise to make a real difference for young adults. The delivery partners are Dudley Council, Sandwell Council, Walsall Council, City of Wolverhampton Council, and Black Country Talent Match, a project led by Wolverhampton Voluntary Sector Council and funded through the National Lottery Community Fund. 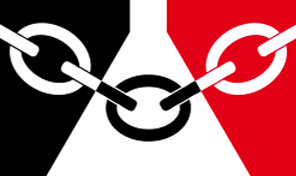 Impact is in a unique position to have a wide range of influence wi th local employers across the Black Country. Here are just a few of our successes; could you be the next success? The Managing Authority for this project is the Department of Work and Pensions. The Impact Project DPS will help the Impact Partners deliver a European Social Fund and Youth Employment Initiative funded project to address high levels of youth unemployment in the Black Country through sustainable integration into the labour market of young people, in particular those aged 15-29 years not in employment, education or training (NEET), including young people at risk of social exclusion and from marginalised communities. Providers will be able to apply to join the Impact Project DPS in respect of nine Service Lots covering a wide range of services (including engagement, skills, training, support, work placements, and end to end provision for example) and some supplies (e.g. bus passes, protective clothing).